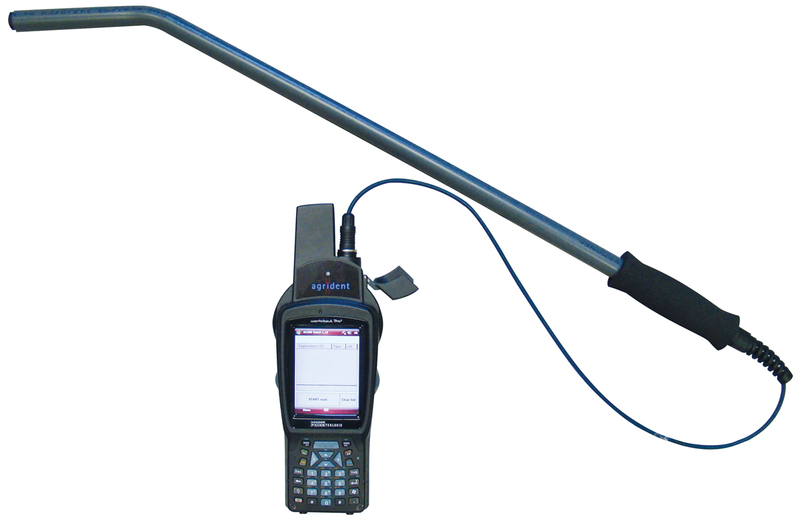 The RFID reader AIR300 is an integrated 134.2 kHz RFID reader for WAP3 and WAP4, the rugged mobile computer PSION Workabout Pro and the WORKABOUT PRO WAP4 by ZEBRA and MOTOROLA. 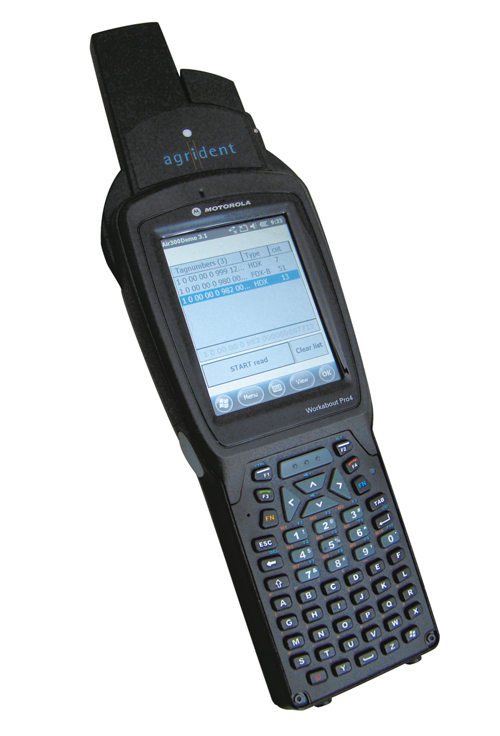 The reader combines the reading of ISO 11784/11785 transponders with the flexibility and mobility of a ruggedized portable computer based on Windows CE and Windows Mobile with optional Wi-Fi, GPRS, GPS and Barcode. In addition, the AIR300 can R/W transponders compatible to ISO14223. Due to the convenient one-hand operation it is the ideal solution for all applications that require many data like at breeding, dairy operation, transport or veterinarian services. AIR300 offers convenient data collection with flexibility and mobility of a rugged portable computer. The light weight guarantees highest operating comfort. The configurable interface enables the use of transponder data in Windows CE or Windows Mobile application. A Software Development Kit (SDK) for the Microsoft Compact Framework v2.0 is available. The Keyboard-Wedge software allows simple integration into existing programs. 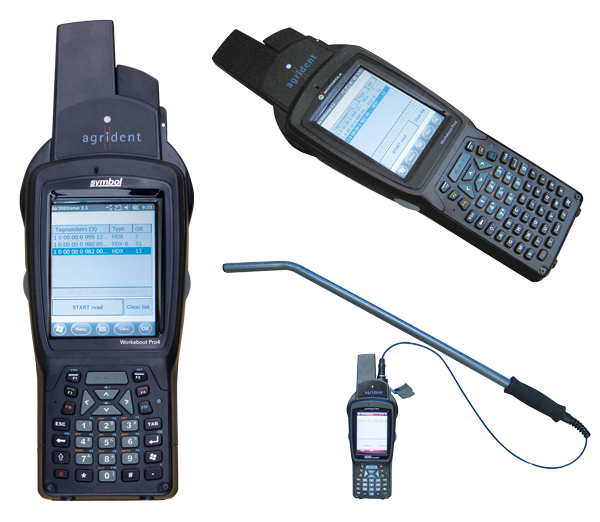 The wide variety of accessories provided by PSION, MOTOROLA and AGRIDENT allows the combination of RFID with different features, i.e. Barcode, WIFI, ext. antenna, etc. The built-in Push-Pull connector allows use and easy plug-in of an external antenna (AEA series). This makes true distance reading possible.